I got a DEGREE WOOO 2:1! I am simply great bow down before the Lord of History. Ahem after that brief aside on with the review. The lights are going out over Europe the year….. 1938. Errrrrr that does not sound right? I know that you may well be questioning how a young (rakishly attractive) man with a History degree can say that, but trust me I have a reason. For my Birthday in March Hagelrat (in a display of uncharacteristic sisterly affection) bought me this book. I am eternally grateful not only do I love getting new books, but also it panders to my historical obsession. This is a fictional book so don’t switch off quite yet. This is an example of what historians call Counter – factual History, or more colloquially ‘What if’ history. Naturally as a person who has spent three years studying history in depth, I found it hard to divorce myself from looking at the book in a historical sense rather than a literary one. So I apologise in advance if I go to much into the Historiography of the book. 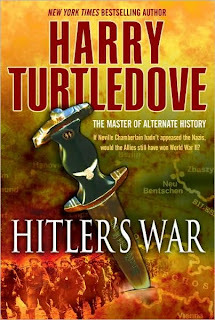 First of all Turtldove had to invent a convincing way in which the war could start a year early. In an obvious reference to the Great War, his chosen method was assassination. A senior Nazi official is killed in Czechoslovakia, meaning the Munich Agreement never takes place. The Book is structured in an interesting manner, with each chapter containing the point of view of people from all sides of the conflict. The one draw back can be that you occasionally forget who each character is. I quite like his portrayal of Germans (and indeed other members of the Axis), as the temptation is to show them as all heartless monsters when most of them were just ordinary people like everyone else. Indeed he grasps Hitler’s motivations perfectly. Many have blamed Neville Chamberlain (PM of UK) and Edouard Deladier (PM of France) for not standing up to Hitler. However, that would be underestimating Hitler’s desire for war. He so desired war, that he viewed appeasement as a frustrating tactic used by the Allies to undermine him. This is something which the author grasps very well. 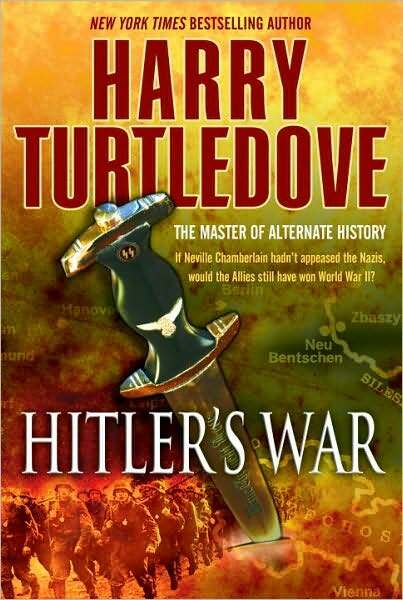 The sheer amount of research that the author had to conduct is simply impressive, he understands the domestic situations of even some of the smaller nations involved in the war and the weapons and vehicles that were used. Interestingly the Spanish Civil war is still going on and this impacts on the opening of the Second World War. I do not agree with all his interpretations of what the likely results of an earlier war. For example he indicates that the Polish would have been hostile to anyone allied with the Russians. This is true but there would still have been suspicion and hostility towards Germany as the Nazis and other Nationalists had made threatening noises towards the Poles for years (mostly over the ‘Bleeding Frontier’). However, this is not a literary criticism. There are some flaws in a literary sense that concern me. I think there is a little too much going on. He tries to cover both the Spanish Civil War, the War in Europe and the conflicts in Asia. Also with 2-3 (or sometimes more) characters representing most of the belligerent nations it becomes rather hard to follow. I think a bit of editing is required and perhaps splitting the book up into a series of books. I feel he has perhaps taken too much upon himself. It is still however, in places a well written book worth reading if like me your interested by this aspect of History, and especially military History. I am thinking of including a note of what Book I am going to look at next. So continuing a historical theme I shall hopefully be completing a review of a Biography of Lord Kitchener. As You Like It… what? Manga Shakespeare??? Yes, this is a Shakespeare play. Adapted by Richard Appignanesai, and illustrated by Chie Kutsuwada, As You Like It is part of an ongoing series of adaptations being made in the UK as part of an educational project. Personally, and this will probably surprise you, but I absolutely LOVE Shakespeare! the stories are so funny and as long as you let the words make sense rather than thinking “wtf?” you get it. My mum hates Shakespeare, my dad’s indifferent, but me and my sister find them brilliant! So it’s no surprise that when I heard about this project I immediately went and bought my three favourite Shakespeare stories in manga form. The interesting thing is… to make the stories more approachable in manga they’ve been stylized and the characters have all been modernised to fit with the illustrator’s style. This will help for a lot of people as a way of introducing the Big S, and I was surprised how well it worked. The adaption means that while Shakespeare’s words and exact phrasing is used, they are heavily cut down to the bare minimum, and instead of telling the story on their own, there is a lot of interaction between the pictures and the words to male for a surprisingly easy read. 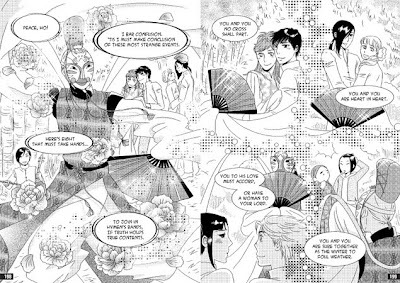 I suppose the transition into manga is made easier because so much of the weird stuff you find in manga (cross-dressing, random falling-in-love between side characters and bizarre drama) was introduced by William Shakespeare. This particular story follows the story of two female cousins, closer than sisters, who are caught in the drama of warring fathers, Dukes, one of which has been exiled. After a chance encounter with another Duke’s younger brother (Orlando), who has given up on life, the exiled Duke’s daughter, Rosalind, is exiled by her uncle. In her anguish, Celia her cousin, chooses to leave with her cousin, claiming that to exile Rosalind is to exile herself. Rosalind, being naturally tall, dresses as a peasant boy, and Celia dresses as her sister. They leave for the woods where Rosalind’s father is rumoured to reside, and at the same time, Orlando, who has given up on life, is suspected of tempting the girls away from Celia’s father. His elder brother tries to kill him, and he too retreats to the woods. There are a lot of side characters in this particular story, and they all help the storyline progress, but the main love story follows Orlando and Rosalind as they grow closer in the woods, though Rosalind is dressed as a boy. Rosalind teases Orlando over his love for Rosalind (he hasn’t realised Rosalind and this odd boy have the same face… typical man lol) and claims he doesn’t really love her, since he doesn’t know her. The characters are pretty funny, and although the story is rushed (well it has to be doesn’t it?) it’s well done. There are of course the problems that some of the female characters are entirely un-feminist, which does bother me a little, but considering how long ago it was written, it’s really not bad at all. The art can be a little iffy in this one, especially at the start- it makes me wonder how heavily Kutsuwada relies on her computer for this. I have to admit that ruined it a bit for me, but my praise can’t be expressed enough for the actual adaptation, and the fact that this entire project is astounding. So it evens out to a decent read, and highly recommended to someone who can’t get their head round Shakespeare. This project does what it sets out to do, which is make Shakespeare more entertaining and approachable for people who prefer reading to theatre, or have had English classes totally destroy classic literature for them. 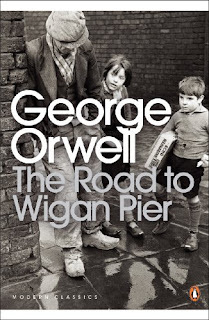 This semester I have been studying the North – South divide in England, and to that end I have had to study George Orwell’s book on the Industrial North. However I would happily read this book for pleasure. While it is a book making a political point, it is a true work of literature. It would have been so easy for him to have produced a book on how Socialism would be good for the working class of Britain, but lets face it there were no shortage of those in the mid-30’s. So instead he produced, something approaching a travel log of his journeys in the North of England. During the 1930’s Britain was suffering from Mass Unemployment, levels of unemployment that make our present troubles seem insignificant. We were one of the few nations not to suffer too badly form the Wall Street Crash (1929). Why? Because we were already in trouble in the 20’s so it made little difference to us. The Major problem was that the British Empire’s power had always been based on coal, our main industries dealt with coal mining. Those were coal mining (obviously), steal and Ship building. When coal exports collapsed we were in dire trouble. People lost their jobs especially in the ‘Industrial North’ where these industries were focused, as Britain had not invested in other industries there were no other jobs for many of these people to do. It is these depressed areas that Orwell visits. He was very much a believer in the idea, that to understand something you have to experience it, so to that and he lived in the lodging houses that many ordinary people did and went down the mines. Orwell understood, something which people are coming to realise, that mass produced goods created ignorance. The more easily available goods become the less people understand where they come from and what is required in producing it. For years the mining industry had been controlled by people who did not understand the work required. Many people in the 30’s had no idea of the genuine difficulties involved. Orwell however tried to understand , to the extent that he put aside his obsession with cleanliness to visit these dirty, poor towns. So powerful was this view of the North, that people to this day view the North as filthy places filled with heavy industry, despite the changes that have occurred. At the time the book was released 1937, it received a lot of criticism. The establishment thought that it was little more than communist rubbish, designed to undermine faith in the Government. However interestingly enough, the left-wingers hated it as well. As it was ‘too pessimistic’, portraying the working -classes as crushed rather than heroes fighting for the ‘dictatorship of the Proletariat.’ However in spite of the criticism (or because of it) it sold very well. I simply enjoyed it because it was well written an interesting study mingled with Orwell’s brilliant intricate language. It is a good read, rather Dickens-esque I suppose. We all know how great Orwell was, so I hope you discover that first hand for yourself. Stop looking! Call off the search parties, cancel the funeral and the tribute concert (starring people you thought or hoped were dead). I am back…. What?! You don’t remember who I am. For God’s sake I am the irritating one….actually that could be any of us. In all seriousness I have been busy, essays on Nazi Propaganda and East India Company rule in India taking up most of my time. So I suppose it is no wonder that history shall be the focus of my review. As you may or may not know I am busily working on my dissertation, 14,000 words on the Bevin Boys, a subject close to my heart. 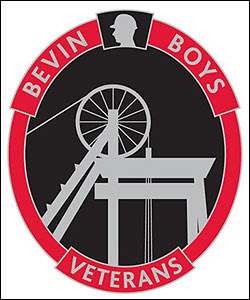 Earlier this year my Grandfather died, who had volunteered to be a Bevin Boy during the Second World War, which made the subject matter of my dissertation obvious. Also seeing the Bevin Boys marching on Remembrance Sunday, gave me the idea of discussing one of the books that has been vital to my research. 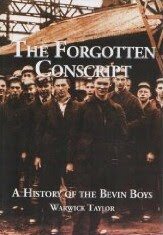 Warwick Taylor’s aptly named book, The Forgotten Conscript, details the formation and activities of the Bevin Boys. By May 1940, it was apparent Britain was running short of coal and worse still the coal mining industry was suffering from a crippling man-power shortage of some 40,000 workers which by 1941 and 1942 had increased to nearly 50,000. Unfortunately a great many miners and ex-miners enlisted with the armed forces, a problem which also occurred in France during their mobilisation. The Government were incapable of persuading more than a trickle of ex-miners to return to a beleaguered and dangerous industry. So in 1943 the notoriously unpopular draft lottery was introduced, during which a number would be drawn from a hat, and all those who’s national service number ended in that digit would be sent down the pits, with no hope of appeal. Not only were many Bevin Boys disappointed at not being allowed to join their preferred service, they were also quite often had to contend with the contempt of the public and suspicion of the Police, who suspected them of draft dodging or being conscientious objectors. Named for the Minster of Labour Ernest Bevin the 48,000 conscripts made a vital contribution to the war effort of the U.K., that has gone relatively unnoticed until recently. Unlike many of books on the Bevin Boys this one is not a personal account of Taylor’s own experience in the mines. It is an incredibly well researched work by someone who was actually there. While the book has much of what you expect from a particularly scholarly work, his own experience elevates the book beyond something that I have read as purely an academic source. Also unlike many more academic sources, it displays pictures of records, letters, and collieries which makes it easier to grasp the facts and figures. Importantly the book does not just cover the war years but covers to a degree the Bevin Boys’ struggle for recognition (bearing in mind this is before the medal was awarded). I realise this has been an odd book to review, but I certainly have my reasons which I hope you understand. I not expecting many people to read this review and pick it up (unless you like British Industrial history), however if you have learned something you find interesting I am happy. Over an out Un:bound fanatics. Greetings and salutations Un:bound addicts. I know that when Hagelrat introduced me she promised that I would bring you some historical fiction, unfortunately I have not yet done so. That is about to change with one of my favourite stories. If any of you watched ITV in the 1990’s you may well remember the Cadfael murder mysteries, starring the great Sir Derek Jacobi. This TV series got me interested in the books, which my mother had an extensive collection of. I have always had a deep interest in history and although I now study modern history, Medieval history is still something I am very interested in. For what is history but one long unending story? 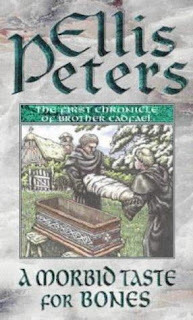 Ellis Peters is one of the many pen names of Edith Pargeter an accomplished author of historical fiction, murder mysteries of any setting and some non-fiction works about Shrewsbury. Which is of course where the Cadfael Chronicles is set. The stories also take my interest because they take place in a period of British history that people rarely study any more, which is known sometimes as ‘The Anarchy’ or the ‘Nineteen Year Winter’, roughly between 1135 and 1154. England was in a bloody chaotic civil war. On one side King Stephen and on the other side his cousin the Empress Matilda (referred to in the books as Maude). The Peterborough Chronicle of time refers to this period as a time when ‘Christ and his Saints slept’. Against this chaotic background the late Ellis Peters sets her story. Brother Cadfael is a Benedictine monk living in the Abbey of St Peter and Paul in Shrewsbury. After having lived a youthful life of adventures the middle-aged Welshman has settled down to tend the Abbey’s herb garden. However Prior Robert has become obsessed with finding a Saint’s relics and after a questionable ‘vision’ received by one of the Brothers, believes he has found the perfect Saint, Saint Winifred. Who the prior believes is not afforded the proper respect, in her place of burial (Gwytherin in Wales). The Abbott commissions an expedition to grab the Saint, which is meant with hostility by the people of Gwytherin. Things are complicated, when Gwytherin’s leader Lord Rhisiart is found murdered. Leaving the Holy brothers as prime suspects and it is Cadfael’s job to find the truth. The book, I feel is exceptionally historically accurate at least in terms of the attitudes of many of the Characters. With the exception of brother Cadfael who has a remarkably modern view of the proceedings, this can be explained by how he spent much of his youth travelling the World on crusade. This experience gives him an interesting and sometimes amusing insight into the cloister. 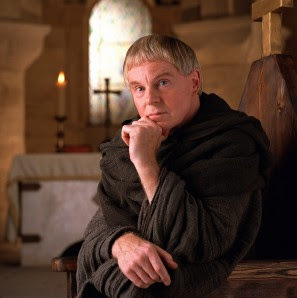 Very often people thought of monks as examples of perfection, but Cadfael knows of course this is not true, that monks are just as human as everyone else. What is interesting is that both Cafael and his assistant Brother John disagree with the motives of the mission, and at times take some amusement in the difficulties placed before Prior Robert. Interestingly another assumption made by people of monks, is that they are all old, actually many monks joined the order in their youth (partly why Prior Robert looks down on Cadfael). Cadfael often experiences regret that these youngsters have had little experience of the outside world. Every story needs a hate figure and Prior Robert and his clerk Brother Jerome certainly achieve that. Prior Robert (who himself is half-Welsh) joined the order at young age from a rich family and is obsessed with advancing himself. Jerome is rather reminiscent of one of those children who is always telling tales. He is irritatingly smug, a character you love to see taken down a peg. Finally Brother Columbanus another monk on the mission, is disturbingly pious (almost over the top) and prone to eplieptic fits (called falling sickness), though Cafael feel this is simply hysterics. Any atheists among our readers will find him deeply unsettling. Any way this review is far too long. I will finish by saying give it a try and happy reading to you all. At this point I have very few Christopher Moore books left in my “need for a rainy day” stockpile. But if you happen to live on the East coast of the United States, specifically the Northeast, more specifically New York, you know that it has been raining almost non-stop for over two weeks (barring two days, which happened to coincide with my son’s birthday party barbecue and my own. Thanks, Higher Being to be Named Later). Moore’s on that short list of writers I love but don’t don’t devour everything right away, preferring to squirrel away books for those days where even when it’s not physically raining, it feels like it, you know? The past two weeks have been a combination of the two (the physical raining and the, uh, mental one), so I busted out some Fool. As much as I love Christopher Moore’s books, there were some reservations with this one. Both my wife and a close friend – confirmed Moore fanatics – started the book only to leave it after about 40 pages saying it was “meh”. Being a huge Shakespeare nut, I was looking forward to it, but the “meh” lingered in the front of my mind as I opened the book. Shame on me for buying into the “meh” – Fool is a wonderfully ribald take on Shakespeare’s King Lear, told from the King’s fool’s perspective, and slightly (okay – mightily) amended to incorporate Moore’s gift for slapstick, bawdy humor. There’s dashes of other plays in here – the witches of MacBeth, a ghost in the vein of Hamlet – but the point of Fool isn’t to adhere to the bones of the play, but to delight in the melodrama and plot intricacies that made the Bard so much fun, and subvert it by transforming it into a classic Christopher Moore story. Nun shagging, love potions, ghost shagging, poisons, princess shagging…you get the picture. 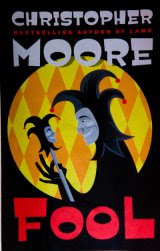 Typical Moore goodness, and nothing to shy away from. A big thanks to Orbit UK for sending this one out to me. When I saw the blurb for this book I rather assumed it was a fantasy based in the Napoleonic era. It actually turned out to be more of a Napoleonic fiction with a little borrowed from fantasy. It doesn’t read like a fantasy and it’s only the presence of supernatural beings that ever suggests it could be. The book revolves around Captain Saxon and his best friend Lieutenant Harte, who coming back from battle with the French find themselves drawn into a different, much longer war. The war between good and evil.The main characters are not explored as deeply as they perhaps could have been, but the book loses nothing for that as they are consistent and their choices feel natural for them. The first sign that this really isn’t normal war fiction is the Daemon who draws them into the secret war in the first place. Interestingly the supernatural battles are drawn through the book often enough to remind you of their presence, but without dominating the story. 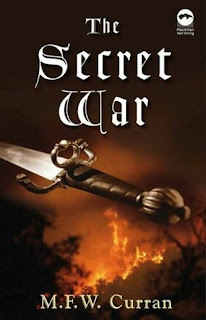 The battle scenes emphasise the battle aspect rather than the supernatural and in spite of the involvment of monks and the basic good and evil nature of the secret war Curran resists the temptation to push the religious aspects. It’s well written and well paced with the mud & blood of battle coming through strongly without obsessing over the gore. I tink the only thing about the book that is a little misleading is the blurb, which definately suggets a stronger fantasy element than the book contains, but it’s an excellent read and thoroughly absorbing.